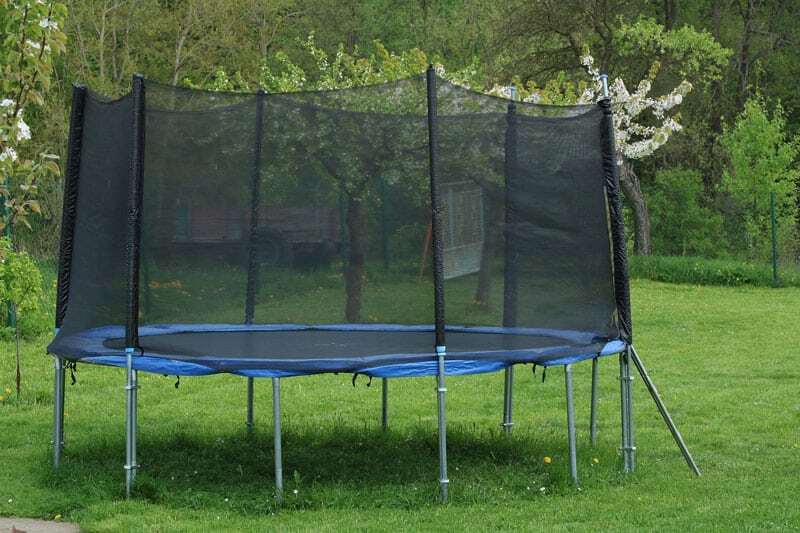 >> Repurposed Trampoline: What to do With the Old Ones? As a kid, you will have an immense love for trampolines, and you may have even forced your parents to purchase one. But with time, your life starts getting stressful because of the daily duties that you have to perform. Also, the enthusiasm starts dying out after a certain age. The trampoline in your garden might be still there, and you have no idea as to how you can repurpose it. Well, you should not throw your trampoline away as you can use it in a number of manners. Coming up with creative solutions is the best idea. Given below are a few ideas that will allow you to get an extra life from the trampoline. These ideas may not be for all the people out there, but it is definitely a better option in comparison to leaving your trampoline to rot in the garden. Right? A geometric pattern in your garden can be extremely striking, and the frame of your used trampoline is perhaps the ideal structure for making a circular centerpiece of the climbing vines. You might think that a large and open circle will seem unorthodox, but it is going to look extremely beautiful. You can even use the frame for creating a window of vines, which will make your garden look unique. Garden rings are known to work the best when you use the frame of the medium-sized trampolines and position them vertically. The vines will take a little time to envelop the entire frame, but once it does, it will look amazing. You can make use of the old frame as a starting point for a mini garden bed. It is not easy to get a circular garden, but with time it is going to look fantastic. You can even place a sprinkler in the middle to make the garden bed more efficient. As soon as you flip over the trampoline, you will have the ideal foundation of a circular garden or a vegetable patch. You can divide the entire patch into different portions and plant a variety of herbs and vegetables. This is going to be like a Pizza garden, and your kids will also love maintaining it. A trampoline garden works the best when the legs of the apparatus are still in a good condition. With this, you can easily separate the vegetable garden from the other areas of your backyard. If you have hens in your home, but you do not own a safe and enclosed place for them, you can refashion the trampoline frame into a unique chicken coop. You can cover the frame with the chicken wire and give your hens the room to move around easily. You have to remember that you can make the chicken coop only when the frame of your trampoline is in a good condition. If you are interested in protecting your hens from your other pets, try to dig a little more and insert the wire into your backyard ground. This will make the fence even sturdier to break through. You can build a tiny outdoor greenhouse with the help of the frame of your large trampoline. You can also divide the frame and make it lean against a shed, a barn or your home to create a unique walk-in greenhouse. After placing the frame in an appropriate place, you have to use 6 millimeters of the poly plastic sheets for covering the entire structure. Next, you have to make a door in the middle, which can be a plastic flap. After this, you can grow great and amazing things in the greenhouse that you have created. Looking forward to purchasing a dog bed? Why not use your small trampolines for converting them into a soft and creative dog bed. The mini trampolines are known to have lower surfaces, thereby, making it easy for the dogs to crawl up on their bed. All you have to do is cover the trampoline with a soft blanket that your dog loves and attach it to a strong frame so that it does not slide off when your dog tries to get up on his new bed. If your trampoline is not being used anymore, you can turn it into something that will be extremely useful for you. For example, you can make a swinging bed which is ideal for relaxation. If you have a mini trampoline, you can make a mini swinging bed that your kids will adore. You can place the swinging bed either outside your house or inside if you have space. Using your trampoline for creative purposes is the best thing that you can do instead of letting it rust in your backyard. Try out the creative things that are mentioned above and put your unused trampoline to use.